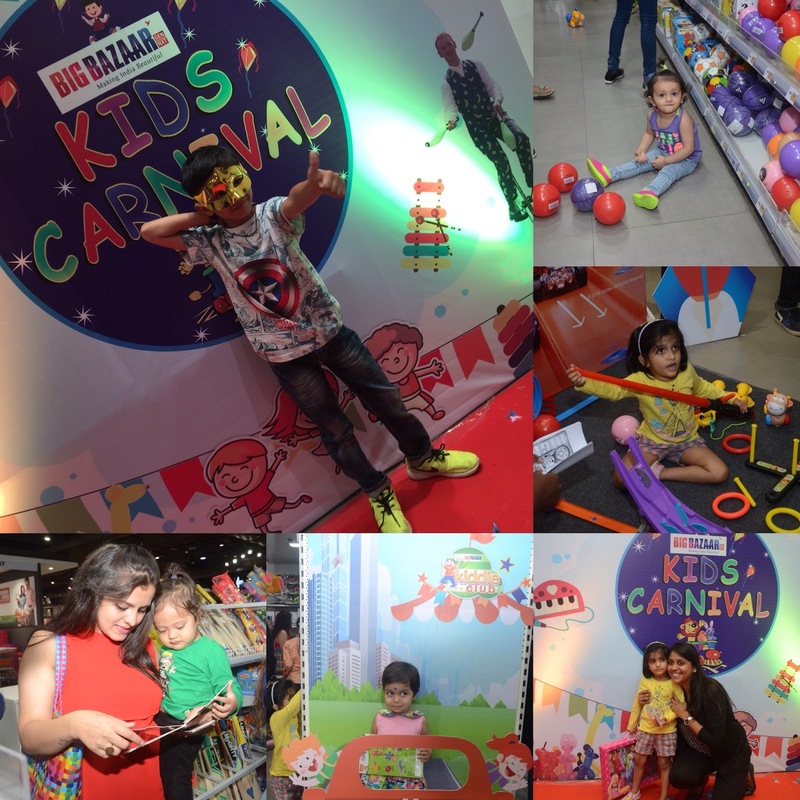 Turn up the excitement at Big Bazaar’s Kids Carnival this new year ! While we look ahead to the new beginning there has been some great moments of joy and excitement in the past year that can’t be left unshared. Holidays are the perfect time to create moments with the family and loved ones. With Christmas began all the fun and what better time for kids to wish for their greatest possession and see them getting fulfilled through Santa. Decorating trees with Christmas decorations, wearing santa caps and writing letters to Santa are some amazing ways for kids to get involved in the festival. The glittering site of beautifully decorated streets, malls, houses with the Christmas theme is just impossible to resist. This time, I got lucky as an invitation led me to Big Bazaar’s Kiddie Club that kicked off the Kids Carnival 2016 with a lot of zest and excitement across all its stores in the country starting December 10, 2016, until January 8, 2017. Yes! 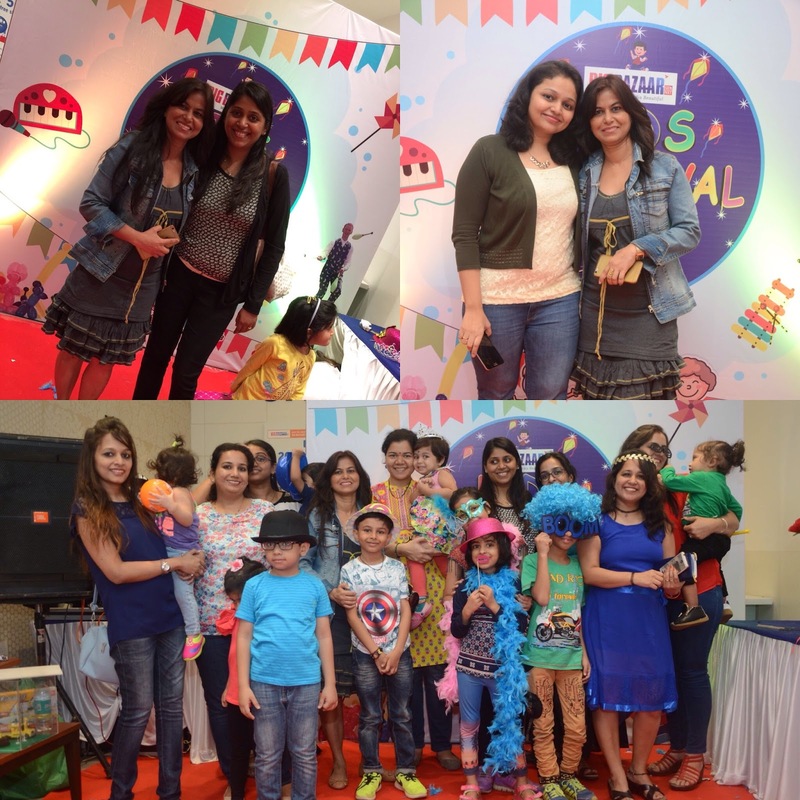 the year 2016 is gone by but the kids carnival is still on with all the fun and entertainment. available at very discounted prices. The whole concept behind the Kiddie club is designed for our little children aged between 3-12 to make the most of it by showcasing their hidden talents and pursue their hobbies through various activities conducted at stores. Going shopping would never feel boring as it sounds to kids. I know how difficult it gets when mothers want to go shopping and kids turn up that bore face which is a straight no for them. With an awesome idea like a kiddie club can turn shopping into a fun time for kids and offer them a fabulous quality time while one has a choice to indulge in shopping and exploring the new stuff at the store. I had a fabulous time along with my son who indulged in various games and got a chance to play with some of the newly introduced toys that he aspires to add to his collection. To be able to pick and play with what ever they desired from a huge range of toys was truly exciting and fun for kids. One of the key highlights of the kiddie club carnival is the “ChotaBheem” competition where children can win a chance of getting featured in Chotabheem TVC. Nothing can be as exciting for kids to be able to meet their favourite heroes and get featured with them is like a cherry on the cake. Bigbazaar kiddie club also introduces a kiddie club card for its little shoppers that accumulates points as they shop and that can be used to participate in various activities..
Future Group is credited with creating some of the most popular retail chains in India and Big Bazaar is ranked amongst the top 3 service brands in the country. Big Bazaar has so much to offer at great discounted rates without compromising on the quality of the product. It delights its customers by adapting innovating ways keeping in mind the changing lifestyle and introducing services and products as customer desires. Inspite of new retail stores opening every other day, Big Bazaar is still the most preferred and trusted store for family needs. With the huge range of products it gives enough choice to pick from and with the addition of the latest stuff every now and then makes it a choice worth the money. Thank you so much! I am glad you found my post useful. I appreciate your lovely comments and would surely update with such ideas in future too! Thank you for kind words. I really appreciate it. Thanks for visiting???? Good day! Have you tried them yet ? #Throwback to this gorgeous pic with Dipali Porwal, the creative event planner. The lady needs no introduction, DP-Creative Event Planner has always been the talk of the town for her innovative, unique and creative decor ideas. From an indoor Ganesh Chaturthi decor at Shilpa Shetty Kundra to various outdoor events like birthday parties to the fabulous Christmas decor at École Mondiale World School she has always made headlines. Her beautifully done up themes and colour schemes speaks for her uniqueness and the newness that she brings on board. Having an upcoming event, a party, a baby shower or a wedding, fret not check out her page and you will be amazed with all the latest decors and creativity she and her team has to offer. Someone has rightly said, healthy mind stays in a healthy body. We might be doing enough to keep ourselves healthy however when it comes to resting our bodies, we aren’t sleeping enough. Sleep deprived body and mind can lead to profound consequences especially in children. I still dread over those sleepless nights as a new mother, it wasn’t easy to function all day with a sleep deprived body. Hence I can relate the importance of sleep, and ensure my child gets his ten hours of un disturbed sleep at night. Watch the sleep awareness video and decide for yourself .. Are we giving enough importance to sleep or is it the last thing on our minds ? So this aesthetically designed pressure cooker @wondercheflife arrived a couple of days back from their classic range of kitchenware that has everything from Non-Stick Cookware, Stainless Steel Pans, Appliances, Cooktops, Flasks, Bakeware and much more. All inspired by global trends with German quality standards. Here’s why I loved this easy lock pressure cooker from Wonderchef. ✔️It’s two in one functionality makes it easier to use it either as a pan or a cooker. ✔️Its multipurpose feature will allow you to cook, steam, boil, sauté, bake or even deep fry, as per your needs. ✔️The top knob comes with an easy to lock feature that secures the lid hassle-free, be it in any position. ✔️It comes with 4 safety functions - the whistle, pressure indicator with safety valve and gasket release system. ✔️It’s made with premium quality stainless steel that is non- reactive, anti-rust and is highly durable. . I can’t wait to try the customised recipes by Sanjeev Kapoor especially created for the wonder chef pressure cooker. #delhikidsfashionweek Is inviting aspiring kid models from all over India. Fill the form and register to win this opportunity of a lifetime. Why is settling abroad a preferred choice for today’s generation?